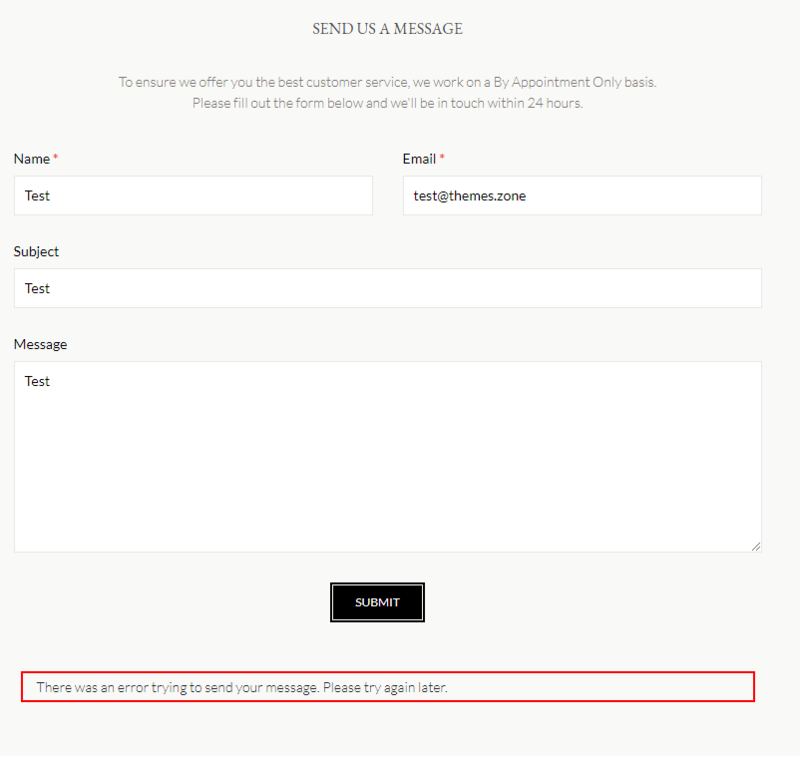 Quite often our clients find themselves in a situation when their Contact form 7 is not working. Contact Form 7 is one of the most popular contact form plugins, and we use it in our themes as well. There are multiple reasons because for your WordPress contact form not working. One of the most common issues with the not working WordPress contact form for Contact Form 7 plugin is the actual failure to send the message. The contact form fields are filled out by your website visitor and the submit button is pushed. 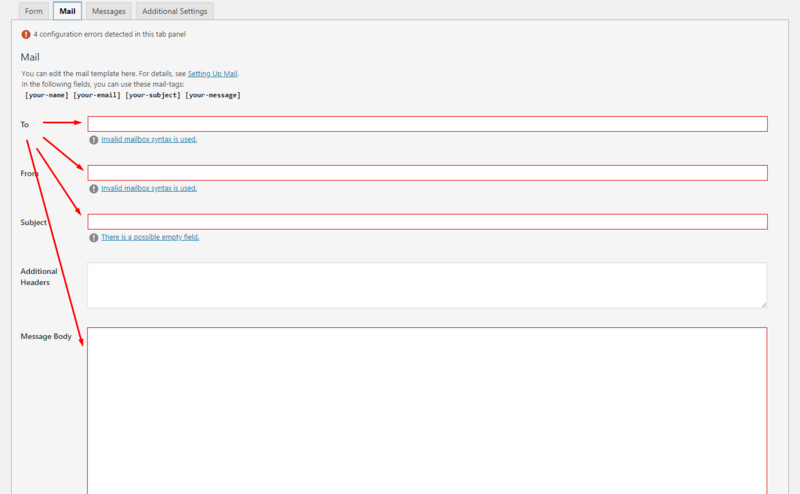 However, an error message in with the red border is being displayed. It says “There was an error trying to send your message. Please try again later”. If that’s the case, here’s what you can do. It is likely that the reason your WordPress Contact Form Not Working is simple – the contact form may be just not configured to the end. To resolve this problem you simply need to finish configuring it. 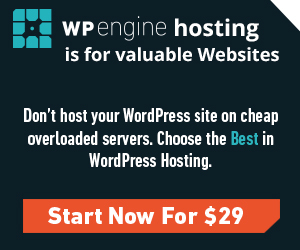 To do this go to your WordPress dashboard first. Then go to Contact -> Contact Forms. Select your contact form and press “edit”. Then go to the mail tab and fill out the missing required fields marked with red. Don’t forget to hit save button at the bottom or at the side to save changes. Please make sure that you use mail-tags in these fields. You can learn more about mail-tags here. And you can learn more about setting up Contact Form 7 in general here. This should be enough to make your contact form work. Please note that contact form messages may be hitting your spam folder, that’s why it is recommended that you check it if no mail shows up. Also, emails won’t be sent if your server’s mail function is disabled. You may want to consult your hosting provider support on this matter.